It’s quite the dilemma. Many of us are fixated on home renovation shows, becoming obsessed with shiplap and subway tile. We’re into open floor plans and oversized clocks. We want large dining rooms and dreamy outdoor spaces for entertaining, but when we’re ready to settle in on the comfy couch for our favorite weekly drama, or curl up with the family to stream a movie, we’d like to see a TV! Have you noticed what’s missing in some of the “fixer upper” shows? Technology! Why IS that? Granted, some embrace technology-free zones with no disruptive television, gaming consoles or mobile devices in designated homework or family dinner spaces. That’s great, but many technologies actually keep us safe, comfortable, informed and entertained. Window coverings, LEDs, control devices and lighting design are elegant and convenient. So, why is technology so often overlooked in design? First, for the best possible outcome, let the technology solutions provider (us) work with the Interior Designer from the onset of the project. We can determine the technology requirements and provide the needed infrastructure before the shiplap, subway tile or custom wallpaper goes up. We can provide the cabling and determine power requirements, saving time and costly refinish work now or down the road. 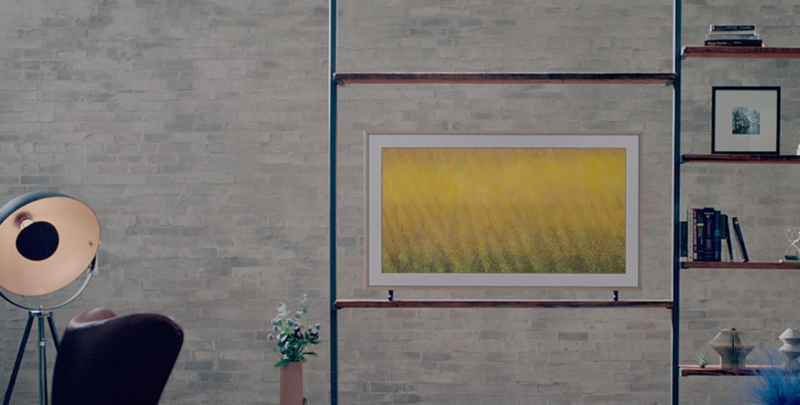 Sure, that painting looks great over the mantle, but would you eventually like to hang an OLED there? Let’s wire for it now so we don’t disturb the brick or wood later. Or, even better, let’s hang it now and conceal it with custom framed artwork that scrolls up to reveal the display! Oh yes, we can! Windows are another key design element that require careful planning. Not only should consideration be made for the type and size of windows in media areas and other TV viewing areas, but thoughtful pre-wiring for control and power will be appreciated when you decide to install motorized shades. It’s true that control for some features can be via wireless remotes, but we still need a power source. The same holds true for keypads and touchscreens, projectors, security features, architectural speakers and especially the home’s equipment rack. The equipment rack is the technology hub, housing some or all of the system’s components. It is often centrally located in a closet that offers adequate ventilation and the ability to run cabling for every device and control interface to each room of the house. Homes with crawl spaces, basements and attics make this task somewhat easier, but often times we are faced with concrete, wood beams or even glass walls and floors of exquisite hardwood or tile that don’t allow access. Get the picture? Speaking of exquisite features, one “designer” that truly embraces tech is South Florida’s Vanilla Ice. While his over-the-top “bring on the bling” style is as different as our landscapes, his luxury designs focus on the elegance, entertainment and fun-factor of well-planned integrated technologies. From outdoor living areas, kitchens, master bedrooms and baths to outrageous home theaters and virtual reality gaming rooms, he focuses on how the family will use the space and designs around the technology. Say what you will about a rapper-turned-house-flipper, but his VIP (Vanilla Ice Project) designs require no retrofit (and he’s all about that fancy wallpaper). So, let’s get the whole design team – the homeowner, the interior designer, architect and technology solutions provider in sync. The end result will be a happy homeowner and beautiful, untouched high-end finishes (or maybe even some shiplap)! Incorporating smart technology into your favorite rooms creates aesthetics and luxury in any home. Style and comfort are crucial to any home’s design; and implementing smart technologies into your design plan can provide a custom solution that gives you full control and accessibility of your favorite spaces. Equipping key rooms in your home with technology can provide endless comfort, while still complementing your individual style. Keeping your style in mind is key. Seamless built-in panels, hidden television units and in-ceiling speakers are just a few ways you can customize your audio, video and lighting experience, without compromising your rooms’ style. With the proper technology in your design plan, “you can have full control of the technology in your room, and around your house for that matter, from the convenience of your bed.” For instance, by discreetly enclosing your television in a beautiful cabinet that matches your décor and in-wall speakers covered by your wallpaper or custom paint, bulky and aesthetically unpleasant equipment are hidden. But this trend expands beyond just your bedroom. Imagine catching your favorite show while you’re in the shower, or checking up on your home’s surveillance video while you’re cooking dinner. More and more, homeowners are deciding to add technology in their bathrooms and kitchens – ensuring continuous accessibility at an arm’s length. Finally, don’t forget your favorite outdoor spaces! Integrated lighting, video and audio technology are just as important in your indoor living spaces as they are the outside. Mood-lighting and discreet surround sound speakers can provide the same level of comfort and style in any livable space. Let’s get started on your wish list.